It’s a New Year so that means in with the new and out with the old! So how are you organizing your home? BHG has some great ideas. Such as this image below. Mason jars are excellent for organizing your toiletries in the bathroom. 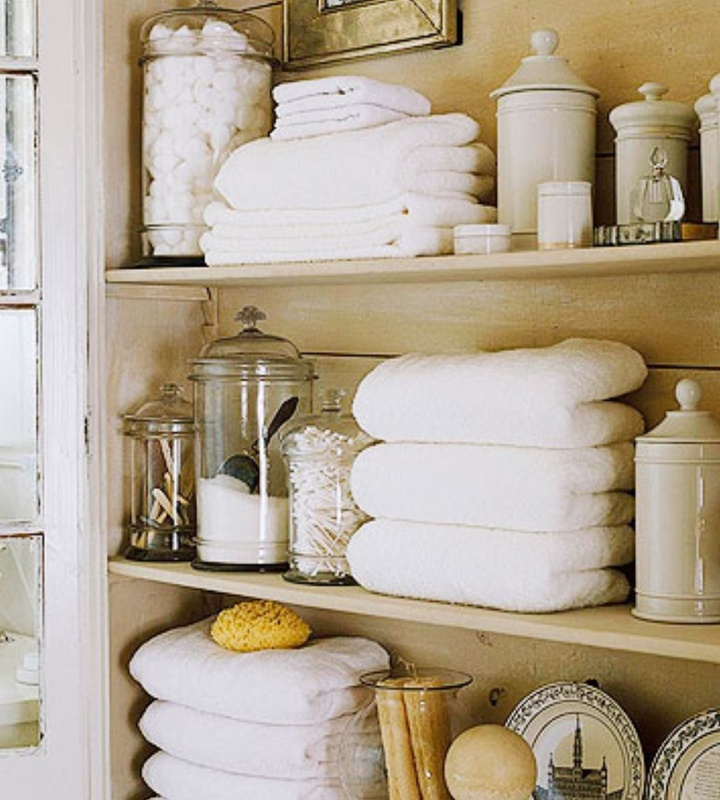 Stack your towels in an open shelf above your toilet or below your vanity if you have room. Another great organizing solution is to store any unused towels, paper towels, or toilet paper in your laundry room (again only if you have room). 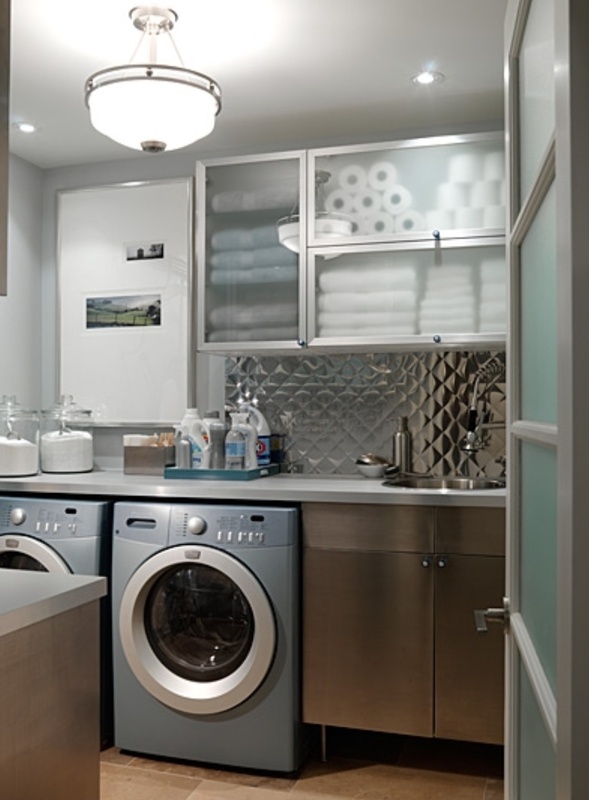 I know some laundry rooms are small but this is easy to accomplish in any room really. Most of the time we only look at the floor space and forget all about, the “wall space”. Don’t be afraid to hang some cabinets or open shelves to store items you need. Sara Richardson displays this from the picture above. I’m also a fan of trays being used in different ways. She has all the detergents and other stain removers all neatly placed in a tray. It looks so put together and organized. Thanks for viewing have a great weekend everyone! p.s. I’m going to work on my chair I wrote about the other day So hopefully I’ll have some work in progress photos to upload before the weekend is done.